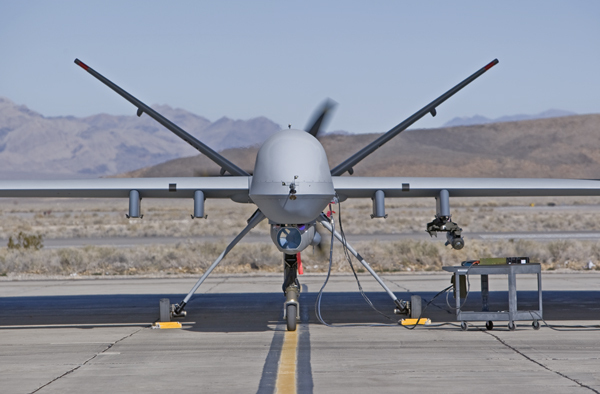 Unmanned aerial vehicles, or drones, as they are commonly called, are a key topic in the worlds of technology and the military. These vehicles, which can be piloted remotely from anywhere in the world, are poised to redefine warfare and quite possibly the state of the world. As author Don Nardo writes in his book Drones, the US military estimates that drones participated in five missions a day in 2012; by 2016, that number is projected to rise to seventy a day. But while drones are primarily made and used for military operations, unmanned aerial vehicles have a number of other, non-combat uses. In the wake of the devastating Typhoon Haiyan that struck the Philippines, reporters and rescue workers have used drones mounted with cameras to take stock of the devastation. Some observers, though, think drones could be doing much more to help the people affected by the typhoon, as well as people in other disasters and life threatening situations. A drone equipped with a thermal camera, for example, could not merely document the damage, but find survivors still in need of assistance. Drones could also be used to deliver food and supplies, serve as communication hubs, fight fires, and more. Largely, life saving measures like these are not happening though. This is largely because of as of right now, drones are primarily thought of as a military tool: as such, all the drones currently in use are being used and programmed for military operations, not rescue ones. Finding a non-combat use for drones would undoubtedly be a good thing. Most importantly, it could save lives, but it could also combat the growing mistrust of drones throughout the world. Drones strikes against suspected terrorists and insurgents have largely succeeded in killing their targets, but have also killed many civilians in the process; Pakistani officials, for example, claim drone strikes have killed sixty-seven civilians since 2008. Indeed, even when a drone strike eliminates a reviled target, execution by drone carries a stigma that causes many to sympathize with the assassinated, for good or ill, as was the case with Hakimullah Mehsud, leader of the Pakistani Taliban killed in a controversial drone strike. Clearly, drones, which allow for aerial combat without endangering the lives of pilots, are going to be an integral part of military operations going forward. But their reputation as underhanded and vicious weapons as deadly to civilians as to enemy combatants make their deployment risky and complicated. Its probably too late for drones to offer much aid to the people of the Philippines, but hopefully the next time disaster strikes, drones will be able to assist and lessen suffering and death. Finding ways to use this amazing technology to actually save lives instead of just ending them might make a drone filled future less foreboding. To learn more the development and usage of drones, please check out Drones by Don Nardo (ISBN# 978-1-59935-384-5), part of Morgan Reynolds’ The Military Experience. In The Air series, from your local library, or purchase it from Morgan Reynolds.